What is a Philadelphia Property Manager? A Philadelphia Property Manager is a vital member of the of the Philadelphia real estate community, providing a service which all property owners benefit from. When someone thinks of a real estate broker, the more common mental image to be conjured up is an agent standing next to an open house sign, representing a seller in a sales transaction. That person might also think of an agent’s role when renting a property out, but very rarely is a Philadelphia Property Manger thought of. A Philadelphia Property Manager oversees all operations of a property. So, what does that include? Bill payment – A Philadelphia Property Manager will (if requested to do so by the owner) pay bills on the owners behalf. Examples of bills include utility, tax, mortgage, common area operating, janitorial ,trash, and more. Maintenance – A Philadelphia Property Manager will be responsible for overseeing all aspects of maintenance, and overall will ensure that the property is in good repair and up to Philadelphia housing and building code standards. Leasing and marketing- An effective Philadelphia Property Manager will need to keep occupancy rates high by implementing an effective marketing plan. It’s in both the manager’s and client’s best interest to keep the property occupied and profitable. Adviser – Perhaps one of the Philadelphia Property Manager’s most valuable roles is that of adviser to his clients. Clients rely on his expert advice to help them formulate major life decisions which revolve around their property, likely their largest asset. A Philadelphia Property Manager should make you more profitable for having worked with them. Even after their fees are paid out, you the property owner should have more money in your pocket than you would have otherwise. How does the Philadelphia Property Manager accomplish this? Smart marketing and advertising: By advertising your property well before the unit actually goes vacant, the Philadelphia Property Manager ensures that occupied time is maximized. This is a fancy way of saying that the unit continually produces a steam of income, rather than having gaps in that stream in-between tenants. Dealing with tenants as a 3rd party: Rental property ownership is often a very emotional business. Emotions riding high often leads to blurry judgement, and in effective decisions being made. A Philadelphia Property Manager removes the emotion, and makes decisions and recommendations based on fact, and substantiated need. If a tenant is late on rent, a late notice goes out. If a repair is needed, a repair is made. Keeping tenants happy: Any Philadelphia Property Manager knows that a happy tenant is potentially a long term tenant. Less turnover means more profit for both the landlord, and Philadelphia Property Manager. So, a main objective of Philadelphia Property Manager’s is to keep their tenants happy so that they will renew their lease year after year. 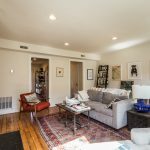 Philadelphia Property Manager – where to find? 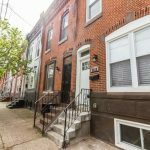 Now that your fully aware of what a Philadelphia Property Manager does, and how a Philadelphia Property Manager makes you more profitable, your natural question is where do I find and qualify the Property Management company Philadelphia for me? Google – The value of Google can’t be underestimated. A simply search engine query such as “Philadelphia Property Manager” will yield many qualified Philadelphia Property Manager’s in the result field. Now that you’ve found a bunch of good options, and read up a bit on them, how do you qualify the company to make sure they are the perfect fit for you? Speak with the firm’s client’s, both past and present. Speaking with past Philadelphia Property Management clients will give you an indication of how you will be treated. Speaking with current Philadelphia Property Management clients will also give you an idea of what the firm’s strengths and weaknesses are. So, after you’ve completed all of your research into Philadelphia Property Manager’s, you’ll of course land back on the JG Real Estate website! JG Real Estate focuses on being the best possible Philadelphia Property Manager by embodying all of the above ideals. Click here for more information on our Philadelphia Property Management services.